Motor operated valves can be of various types e.g. Gate/ Ball/ Butterfly etc. with actuator control. Design of Motors and valves can be different. An electric motor is mounted on the valve and geared to the valve stem so that when the motor operates the valve will open or close. For this MOV, motor operated with actuator control from local panel or, from control room is required. There is a requirement of co-ordination among Piping-Electrical-Instrumentation-Process engineers and vendor for design and procurement of such motor operated valves. Whenever frequent operation is required. 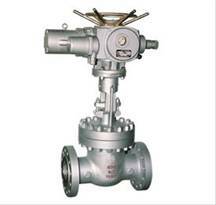 Valves located in remote, inaccessible or hazardous places. Motorised control valve / Motor operated valves are usually for full open and full close applications. However there are places where they are used for position control as well. Motorised control valve can be classified into three types. However it must be noted that the main application of motorised valves are for flow control and flow isolation. Open/close valves - used to automate manual open close valves Examples include, pump discharge / suction valves, boiler feed water isolation valves, drum vent valves, product line valves etc. Inching valves - used were some degree of control. Example a gradual opening and closing is required, applications include, reflux lines, boiler start up vent, boiler IBD valves, boiler main steam valves etc. Precision flow valves - this is a precision inching valve, in inching valve the motor operates in steps configured in the controller, e.g. 5%, 10% opening steps. In precision flow valves, a continuous control is enabled by the use of proper feedback from the field to the controller which is not usually found in other motor operated valves. An example is steam injection valve / water injection valves used in GT for Nox control. While different types of motor operated valves are mainly defined based on flow control capability, different kinds of valves can also be used as motorized valves. Control valves have a faster response as compared to the motorised valves. Control valves usually have an analog control element, while the motorised operated valves have a digital control element. Control valves can be used for any type of control, pressure control, flow control, temperature control etc while motorised valves are usually (if not always) used for flow control. Control valves are used for precision control. However motorised valves are not usually used for precision control.